﻿STEP is a Theatre Festival which is a part of RINTIS (Research and Innovation Towards Integration and Sustainability) programme in Universiti Sains Malaysia. STEP is a theatre festival that is ﻿held every year at the School of the Arts, USM mainly at Panggung Pelinggam Cahaya and Panggung Sasaran. 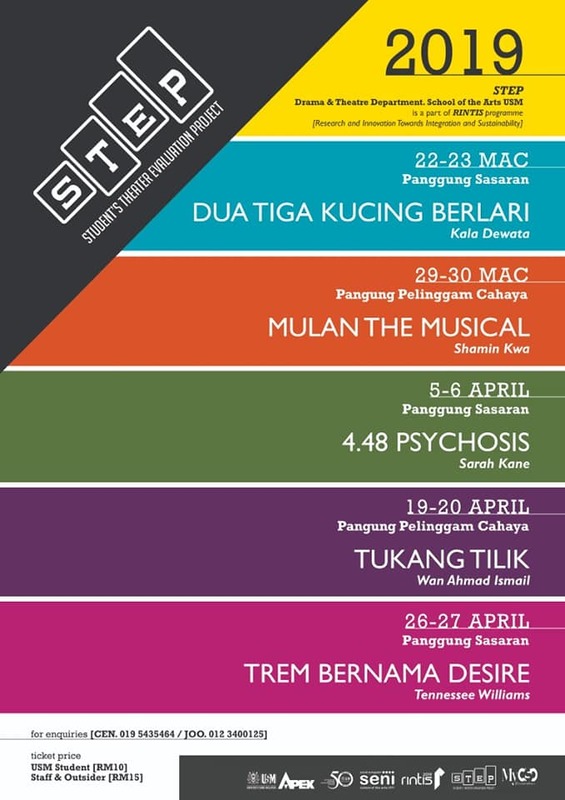 This year, STEP brings five outstanding theatre performances from five different production whereby it will commence with Dua Tiga Kucing Berlari (22 and 23 March 2019) and wind up with Trem Bernama Desire on 26 and 27 April 2019. STEP has brought some different genre in this year's theatre performance, other than realism play, there is also physical and experimental play and also biomechanics play. STEP is not a theatre festival that only involve USM students but also the community of ﻿Penang, especially industrial workers, theatre activist and students from the science field. The friendship between 5 friends who have been their early years began to be tested with the presence of love between two people Rosdiah and Kuan. The limitations constructed by humans themselves have become the boundary point of their relationship. Words, friends behaviors and other family members are more likely affect them. Can these constraints be eliminated with the power of love or they can afford to sacrifice that feeling for the sake of family, religion and race? An extraordinary girl found her true inner-self in her life journey. Although she struggles with many challenges but she did a great victory to save the country. 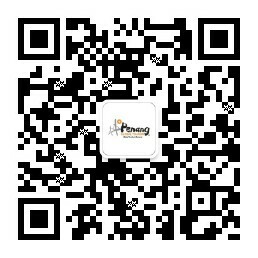 Her courage makes her to do the filial piety. In the end, she found her own place. Country? Parents? Which will she choose in the end? 4.48 Psychosis tells us what can be happening to the human mind when the barrier between reality and dream, and several versions of them, is disappeared. Detailing the experience of clinical depression, the play harrowing reveals, through poetry, anger and dark humour, an individual’s struggle to come to terms with their own psychosis, the numbers in the title referring to the time in the early morning when clarity and bleak despair strike together. At 4.48, I must fall asleep. Tukang Tilik is a theatre about woman in her late 40's called Halimah who set herself up as a fortune teller in the eyes of the people but in reality she is a prostitute who satisfies young and old men's desires. Halimah has a daughter named Zaleha who is 17 years old. There were two men who began to love Zaleha, a 25-year-old Ali who worked at a private courier company and a man named Shamsul who is 40 years old businessman. Both of them fall in love with Zaleha but Zaleha only loved Ali. At the same time, Mrs. Halimah also loved Ali and tried to seduce him many times. After several attempts, Ali was tempted by Mrs. Halimah's beauty. What happened to Zaleha? Is she able to know the real work of her mother? What about Shamsul? To find out what's happening next, do not forget to come and watch Tukang Tilik theater on April 19 and 20, 2019 .